Establishing an artwork’s authenticity can be a complex process. Many artists have catalogue raisonnés. These volumes include photographs, provenance, literature, exhibition history and any other relevant notes for every artwork the author attributes to the artist. But those artworks can be forged. Authenticity boards function, whether there is a catalogue raisonné or not, to confirm or deny the authenticity of work. With so many committees closing, what are we to do? How will the market be affected? Art dealer David Nash, who spoke on an International Foundation for Art Research (IFAR) panel late last year, said there may be some inconvenience, but that many of the pieces collectors will be offered are either in the catalogue raisonnés or have already been verified by the committees. That the art world has survived without committees in the past suggests it can do so in the future. 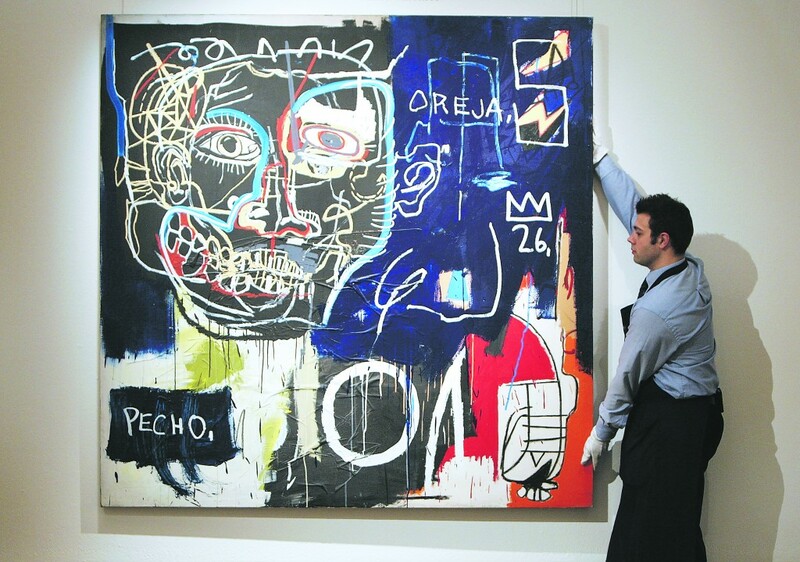 I think David’s right on the high level at which he deals, which includes iconic paintings by de Kooning. No doubt those paintings are easily traceable, but what about all those lesser works by the artist out there in the world? No one can tell me that there aren’t a lot of fakes; and without the committees, how will the buyer separate the real from the bogus? The Old Masters market is another example. The Rembrandt Research Project just closed after 42 years, in which they demoted hundreds of works. One poor museum in Copenhagen that started the 20th century with 10 Rembrandts ended up with only one. As Seymour Slive, a Rembrandt scholar, quipped, “One more meeting of the Rembrandt Research Project and the artist will cease to exist.” Yet its activities, then, or its recent attempt to reattribute paintings to the artist they had rejected, hasn’t hurt the Rembrandt market. Tintoretto is another artist whose work has been recently reassessed. Of the 468 works subjected to the study, 148 have been demoted (ouch!) and 16 works thought not to be Tintorettos have been elevated. And the scholars, Frederick Ilchman and Robert Echols, haven’t even gotten to the portraits yet. Some people think buying from a reliable dealer or auction house offers a safety net, that the house or the dealer has done the due diligence, and if the piece turns out to be forgery, the buyer will be reimbursed. But a lot of buying was from older dealers who dealt the artist their whole careers. They kept records and knew everything about the artist. The problem is that those dealers are dying out, and, depending upon the assiduity with which records were kept, their knowledge may be lost with them. Years ago, if I were considering buying a de Kooning whose provenance listed Allan Stone, I’d simply call Mr. Stone. He’d check his records or possibly would remember the transaction. But Mr. Stone and others are gone now, along with that wealth of knowledge we’d all come to rely upon. What many also see as a disaster if the committees disband is the lack of access to papers, notes, photos and the people who can decipher them. Committees have been criticized for not explaining why a painting is rejected. I doubt that’s because of skullduggery. There are secrets about materials and the way the artist worked that the committees want to keep from forgers. It was only with great reluctance that the Warhol Board explained to Joe Simon the specific reasons why they nixed his Self-Portrait. I happen to think Mr. Simon’s painting is authentic—for many reasons, among them that another in the same series, owned by Anthony d’Offay, was put on the cover of the catalogue raisonné with Warhol’s full collaboration, and Warhol himself signed a cover. If we don’t have committees to determine what’s real and what’s not, we’ll tend to rely more on provenance, and that doesn’t necessarily provide a reliable answer. One July, checking on a Maeght Galerie provenance for a Mir that our advisory firm, Guggenheim, Asher, Associates, wanted to sell, my partner, Abigail Asher, called the Maeght Foundation. It was operating with a skeleton staff and couldn’t possibly check before September. After humiliating pleas by us, it went into the records and confirmed our provenance. Too often, though, a provenance sheet will simply say “PRIVATE COLLECTION.” That’s understandable. A dealer who is getting material from a private collector who has other things to sell isn’t going to tell the world who that collector is. In the art world, discretion is everything, and therefore it’s not uncommon to get a provenance listing a whole chain of PRIVATE COLLECTIONS, one after another. Does this mean the painting’s inauthentic? Certainly not. Sometimes I worry more when I get a provenance sheet filled with specific names that I don’t know—these could, after all, be made up. And even if I’m lucky enough to reach a family that’s named, it’s unlikely a descendant will remember what his grandfather owned. Let’s say an artwork comes from a distinguished family—that doesn’t mean it’s right, either. One year, a client asked us to check on a Picasso drawing coming up in a Christie’s London sale. Abigail was sure it was actually a print. The expert told her politely that she was crazy, the provenance was splendid. Indeed, it was, but when she took it out of the frame her opinion was confirmed. Provenance notwithstanding, it was a print, and Christie’s withdrew it from their sale. And, of course, just because the work you’re considering looks like the one in the books, that doesn’t mean it is the one in the books. There’s the old “switch out” and “switch in.” We were once offered a Dubuffet, for instance, that turned out to be a “switch out.” The provenance sheet listed a well-known family in Palm Beach, and, according to the literature, the work appeared on the cover of a book. We tracked down the book; and compared its cover with the photo of the painting we’d been offered. They seemed identical, but, using a loupe (that’s art lingo for a magnifying glass), Abigail noticed one stroke that was not the same. We didn’t go forward with buying the work, and later learned that a Palm Beach framer, reframing the family’s collection, had copied everything, returned the originals to the family, and sent the copies, along with the originals’ provenance sheets, to dealers in New York. A classic “switch in” can be found in Laney Salisbury and Aly Sujo’s book Provenance: How a Con Man and a Forger Rewrote the History of Modern Art. London con man John Drewe had an accomplice forge an array of paintings and drawings, including Nicholsons and Giacomettis, all in the $400,000 range, modest enough in value to be below the market’s radar. He created provenance sheets and inserted them into the artists’ archives at the libraries of the Tate and the Victoria & Albert museums. That way, anyone checking on the works would find them duly listed. Not long ago, while I was doing due diligence on a De Chirico, I learned that the painting had been in a gallery show in 1960. I found a copy of the show’s brochure at the Getty, and though there was no photo of the painting in the brochure, its title and dimensions were listed. With “switch ins” in mind, I remained unsure: Italian forgers not only forge the paintings, they also fabricate the catalogs. Barbara Guggenheim started an art advisory firm in 1980. For the past 22 years, she has been a partner, with Abigail Asher, in Guggenheim, Asher, Associates, Inc. This essay is part of her forthcoming book about the art world. Most intersting article. Had no idea how complex authorization can be.